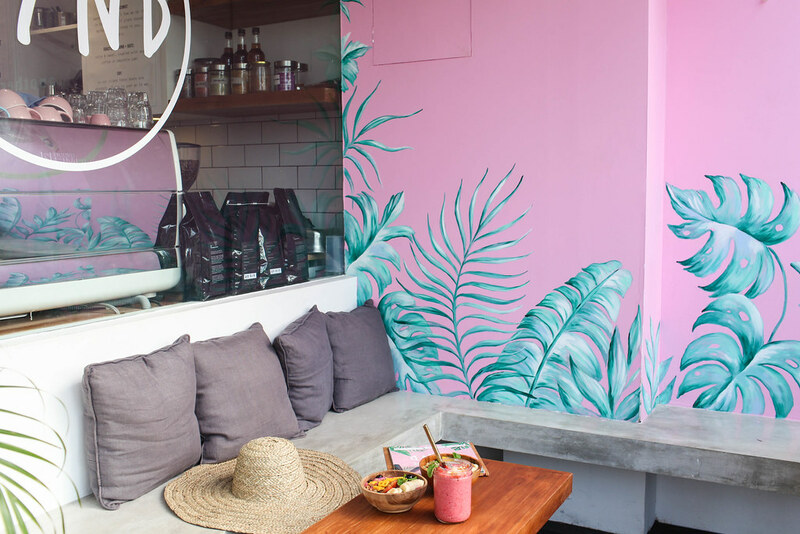 Bali is a mecca for healthy cafes. Holidays usually mean food and alcohol in excess, but if you’re looking for an island destination to get in shape, or stay in shape, look no further than Bali. It has juice cleanses, dragon fruit bowls, vegan cafes, yoga retreats, salad bars and everything in between. The best part? Everything is a fraction of the cost it would be anywhere else in the world. 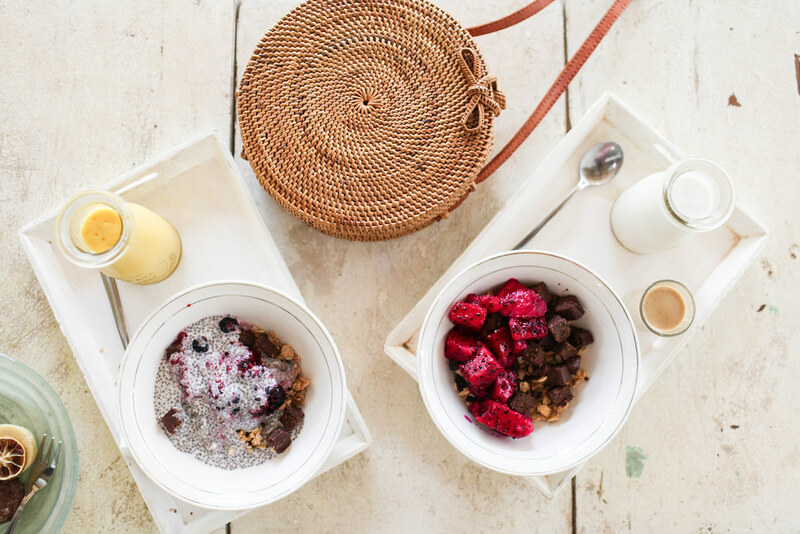 Sea Circus is Bali's health cafe of the minute. Attracting a young and hip crowd with its satisfying dishes and quirky interior. 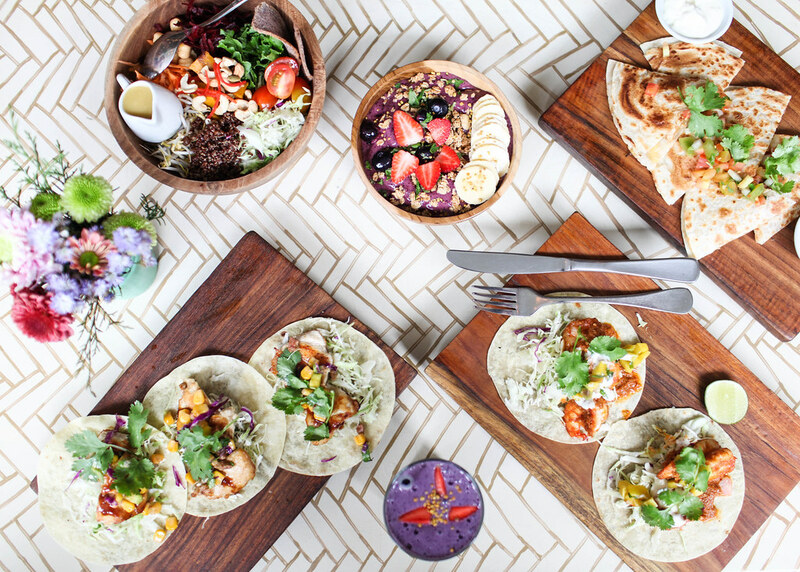 On the menu you'll find spicy tacos, superfood salads and charcoal burgers. Even your unhealthy friends will obsess over this place. 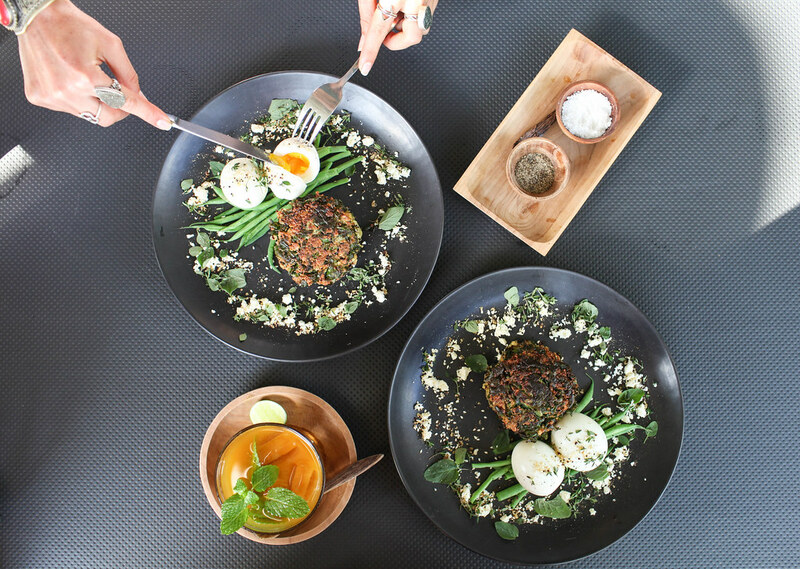 If you're looking for Bali's most stylish health cafe, then you'll find it at Sisterfields. With marble countertops, floor-to-ceiling windows and funky toilets, this cafe wouldn't look out of place in Sydney. 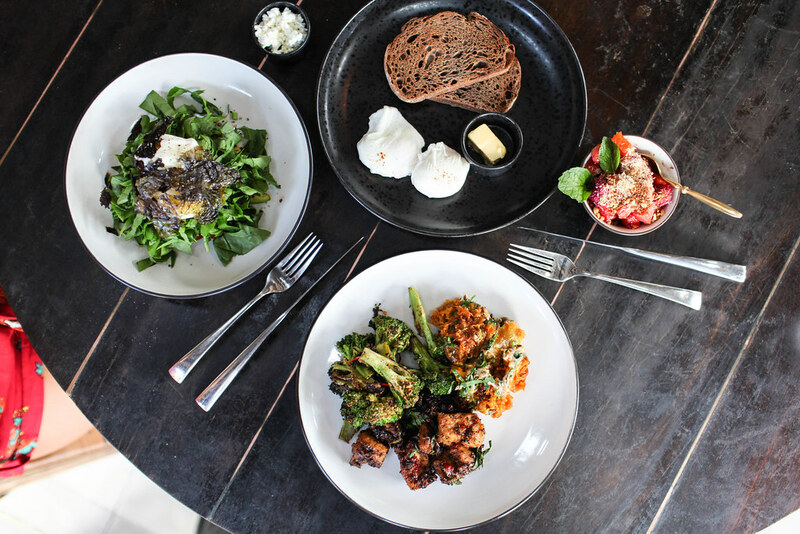 The menu is bursting with delicious dishes such as spicy salmon tartare, breakfast burritos and blueberry ricotta pancakes. 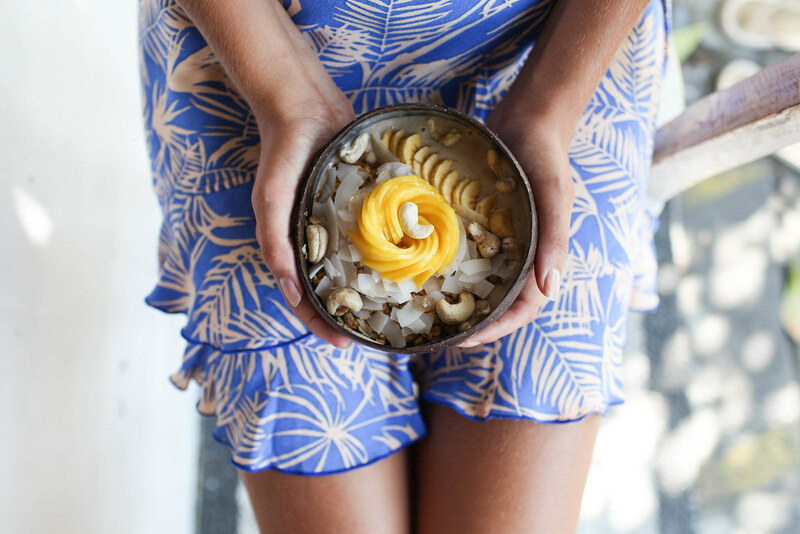 The queen of smoothie bowls in Bali. If you want to sample one of these delicious bowls of goodness, you have to have to head to Nalu Bowls. The idea is simple: select your smoothie bowl of choice and pick as many superfood toppings as you like. Among the smoothie bowl flavours are classic acai, protein-packed peanut butter and Hawaiian pina colada. Coco and Poke is an awesome salad bar serving up a winning combination of Hawaiian poke bowls and coconut soft serve. It’s the newest addition to Single Fin beach club and the location couldn’t be any more perfect if you like your poke with a side of Balinese sunset. 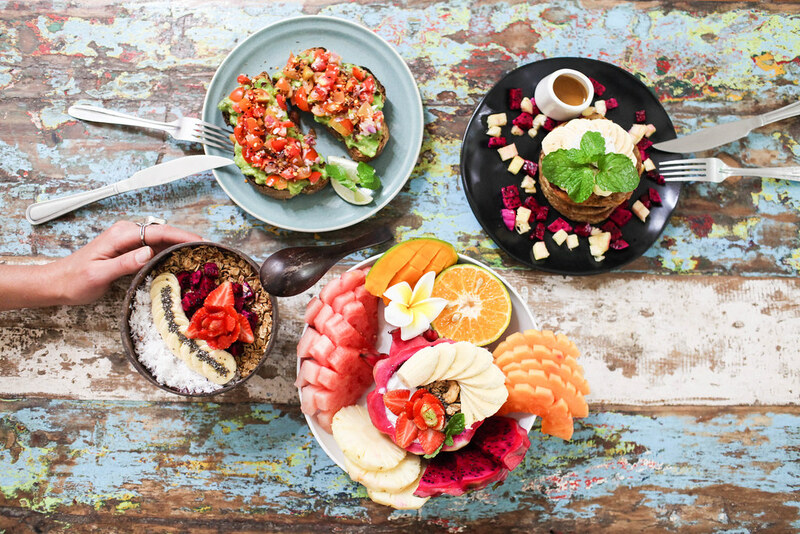 Eat the rainbow at this amazing vegan café with mermaid blue smoothie bowls, spirulina green burger buns and purple potato chips. I would eat here every day if I could. 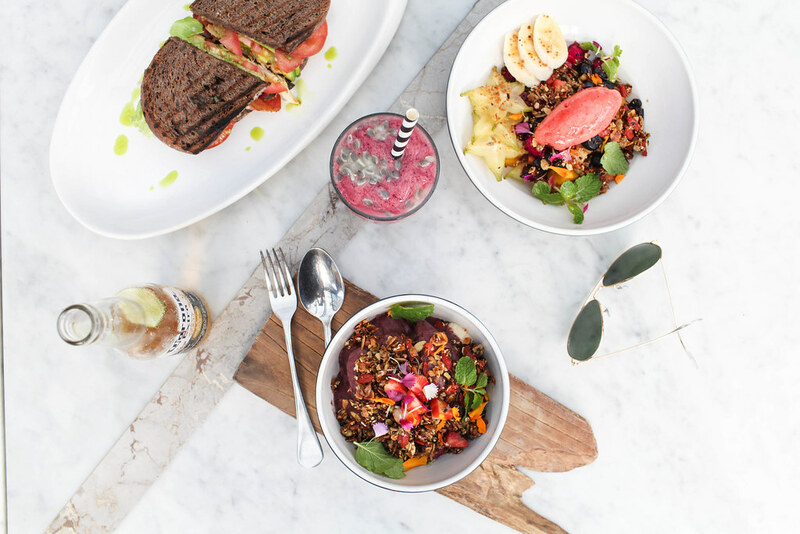 They serve up the most flavour-intense dishes, but the ones you have to try are the moonshine smoothie bowl, pantani porridge and powerhouse buddha bowl. 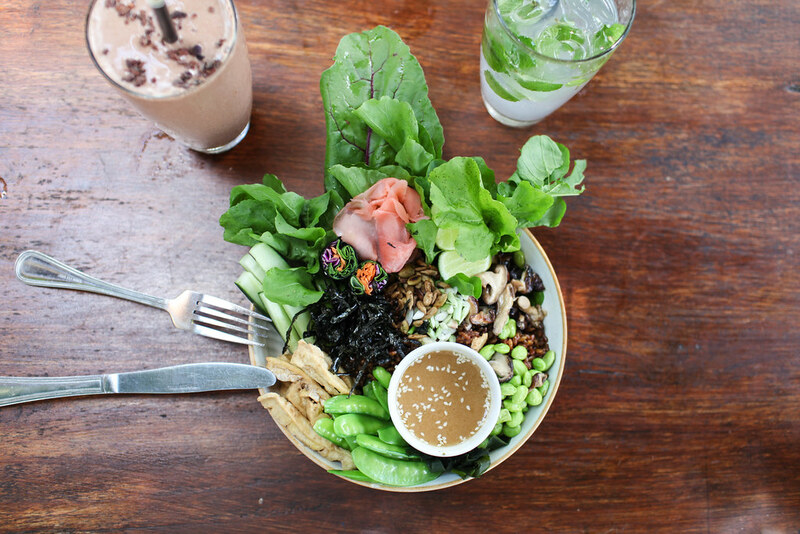 Build the meanest breakfast bowls and salad bowls in town at this all-raw café. Trust me when I say that raw food never tasted so good. It also functions as a yoga studio and health spa offering colon treatments and courses on plant-based food. This little vegan café was undergoing renovations when I was last in Bali, so I would be excited to see the outcome. Luckily for you guys, the renovations are complete and the new and improved menu is looking even more tempting than before. 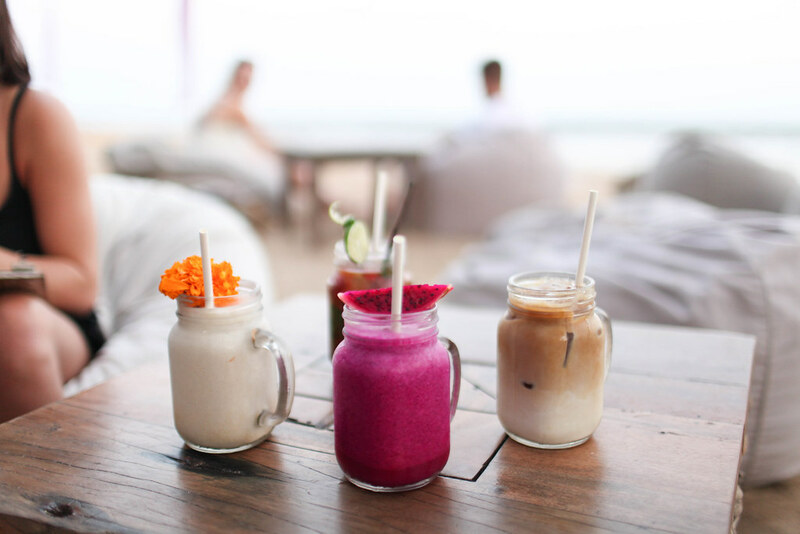 Seminyak is overflowing with cafes, so choosing the best can be a challenge. If you’re looking for plant-based heaven, look no further than Kynd Community. 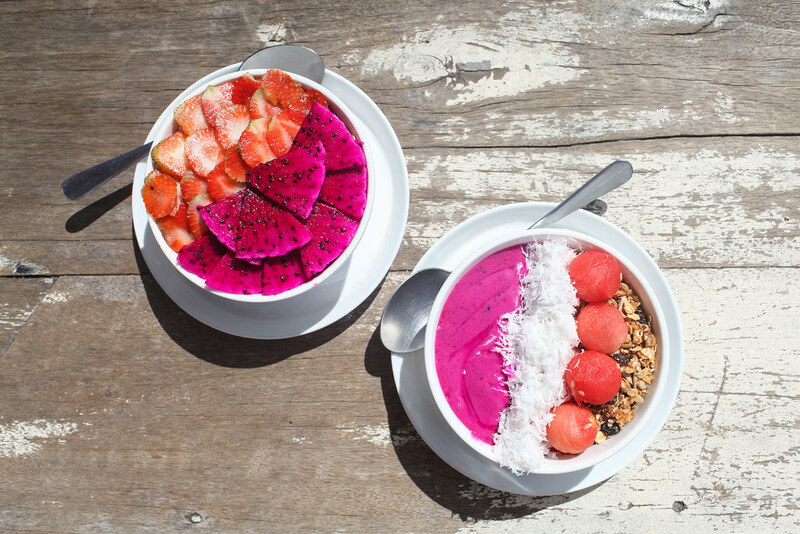 Think pink lattes, rainbow smoothies and superfood loaded toast. They also have the most Instagrammable smoothie bowls on the island with happy motifs sliced from fruit. This Middle-Eastern inspired café doubles as a beautiful lifestyle and clothing store. All of the produce is organic, free-range and ethically sourced so you can indulge knowing that you’re doing your bit for the environment. Don’t even get me started on the freshly-baked quiches, Persian salads and Moroccan spiced chicken. I would be inclined to say that the salad bar at Watercress is the best on the island. I returned time and time again mainly for the peppered tofu, pumpkin and tahini and homemade falafel. But really no matter which salad you choose you’ll leave happy. 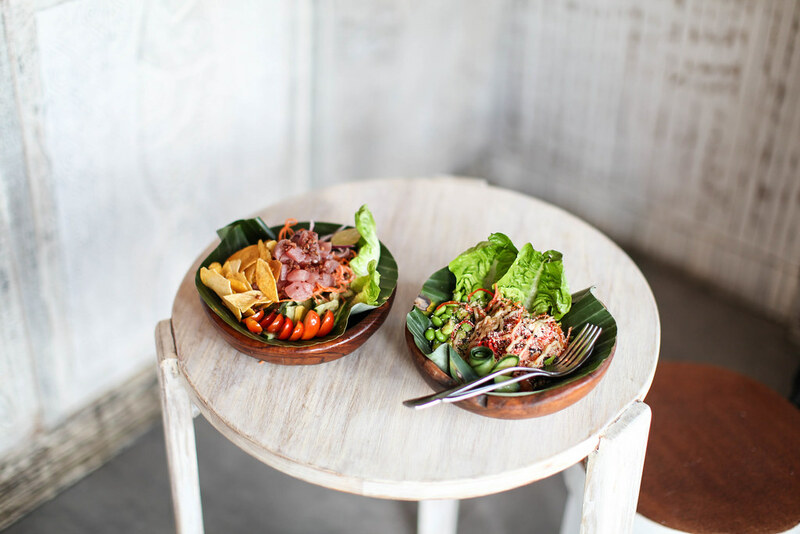 You’ll be fighting for a table at this awesome spot in Canggu. The generous portions of healthy, hearty fare keep everyone coming back for more, and the low prices don’t harm either. The ever-popular Shady Shack is where all the expats in Bali come to hangout and feast out. 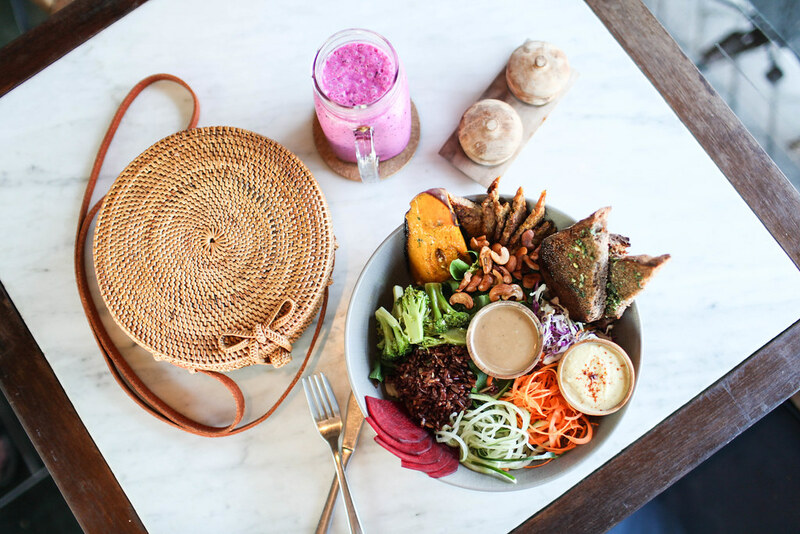 But this is guilt-free feasting at its finest with nourish bowls, vegetarian wraps and smoothie bowls loaded with tropical fruits. 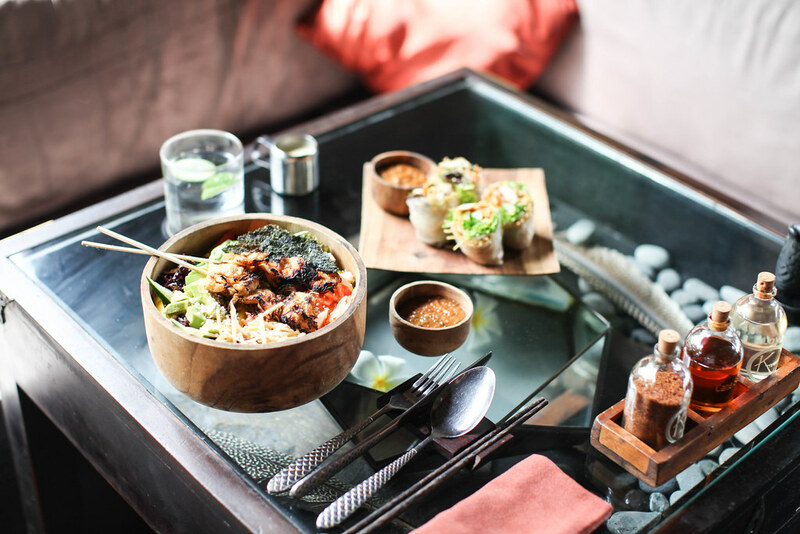 The breezy spot overlooks Canggu’s verdant rice paddies. Kismet is one of those rare vegetarian restaurants that’s loved by meat-eaters and veggies alike. The Asian-influenced menu is bursting with hearty dishes like paneer Tikka Masala, Pad Thai and the epic charcoal halloumi burger. 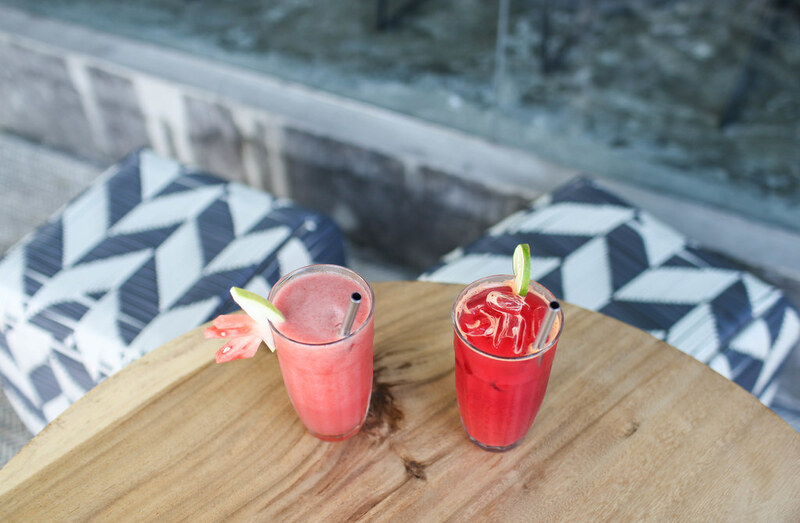 Located on Sanur beach, this newly opened cafe-restaurant-bar gets everything right. It really does have to all; spicy curries; handcrafted cocktails; vegan ice cream; fruity popsicles; rainbow smoothies and homemade chai. Every Sunday evening they host an open air cinema so you can watch a film with sand underfoot and lanterns overhead while feasting on healthy fare.